Posted by rogerhollander in Foreign Policy, Guatemala, Immigration, Imperialism, Latin America. 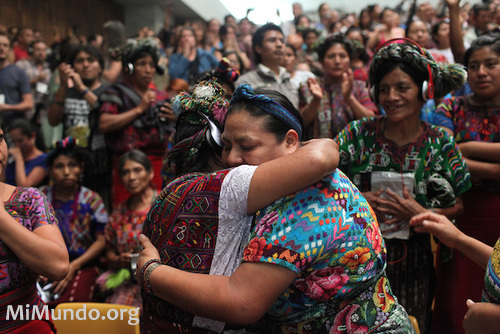 Roger’s note: This article speaks of the US support for Guatemalan genocide. We should not forget that the US government in Central America trained death squads in El Salvador (in support of a repressive ultra right government) and Nicaragua (in support of the fascist Contras) and enabled the 2009 coup in Honduras that replaced a democratically elected mildly progressive government with one that has turned the country into one of the most violent and corrupt nations on the face of the earth. Your American tax dollar at work. For once the Republicans got it right. But not in the way they think. Indeed, President Obama carries the representative blame for the debacle (including reports of sadistic abuseby U.S. Border Patrol) of largely Central American migrant children long overwhelming shelters at the border. But the guilt is much broader, ranging from successive administrations all the way down to us, as American taxpayers. Decades of U.S. policy in Guatemala alone have turned the country into a land of wreck and ruin. This is the ultimate reason migrants have been crossing into the United States in increasing numbers in recent months. 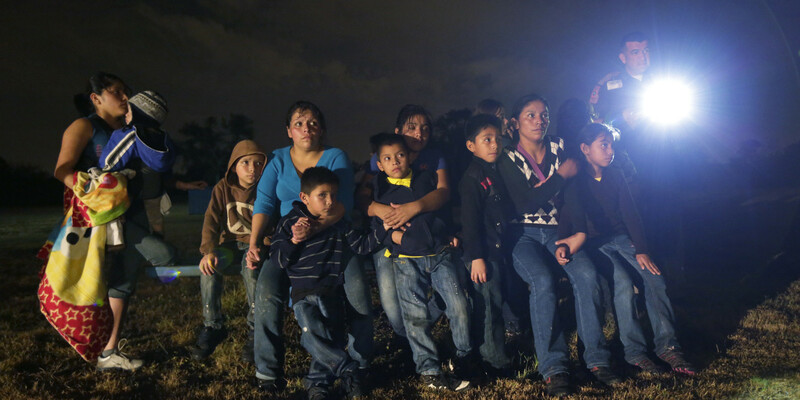 Harsh immigration enforcement policies, such as the ones the Obama administration has been championing, add insult to injury as the U.S. punishes migrants when they arrive when it should be paying people like those of Guatemala massive reparations. It is indisputable that the U.S. shares significant responsibility for the genocide of tens of thousands of Guatemalans—mainly indigenous Mayans who comprised a majority of the (at least) 150,000 killed in the 1980s alone. 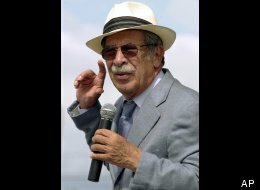 A 1999 UN Truth Commission blamed Guatemalan state forces for 93 percent of the atrocities. That same year, former President Bill Clinton admitted the wrongness of U.S. support support for Guatemalan state violence. 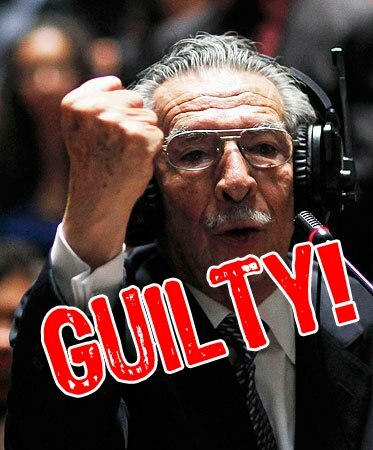 U.S. culpability for Guatemala’s plight endures to this day. The problem is—then and now—the United States is in denial as a nation over what to do about its complicity. Just ask Clinton. The day of his apology in Guatemala City, he looked genocide survivors in the face, voiced regret for the U.S. enabling their suffering, and then rejected their impassioned pleas for U.S. immigration reform because, he said, “we must enforce our laws.” Today, many continue to call on the U.S. for reform measures like temporary protected status. And still, U.S. officials meet them with silence or dismissal. Perez says the Guatemalan economy for most of the population hasn’t recovered from the genocidal wreckage of the 1980s and continues to be subjugated by U.S.-led neoliberal economic reforms like NAFTA and CAFTA. The desperate situation keeps sending Guatemalans like her migrating as a necessary means of decent survival. Erika crossed the Arizona/Mexico desert, the deadliest area for migrants along the border, when she was eighteen in 2002. An indigenous Mayan who then spoke Spanish but no English, she faced sexual violence and dehydration along the way—but survived. So many other Guatemalans, a majority of them from the Mayan highland areas hit hardest by the genocide, remain missing while trying to cross the same part of border, according to data acquired from the Pima County medical examiner’s Missing Migrants Project (now theColibrí Center for Human Rights). “Opportunity,” the young Antonio Albizures-Lopez recalls, was the purpose of his family’s unauthorized migration to the United States, as well as “to escape the violence that was influenced directly by U.S. intervention”—including the murders of four of Antonio’s aunts. Albizures-Lopez grew up in Providence, RI since he was 1 year old in 1992, shortly after his mother crossed the Rio Grande River with Antonio strapped to her back. International legal experts describe the social climate in the U.S. at the time of the genocide as a “Silent Holocaust”. In Antonio’s case, the term couldn’t be more appropriate. 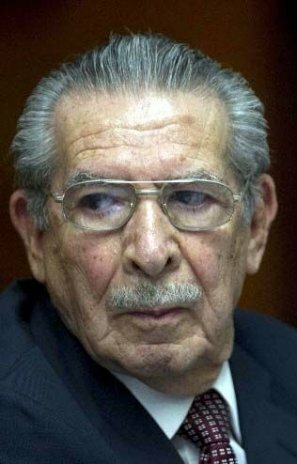 He was born in Huehuetenango, Guatemala, where one of the military bases set up with U.S. support “maintained its own crematorium and ‘processed’ abductees by chopping off limbs, singeing flesh and administering electric shocks,” according to veteran journalist Allan Nairn who interviewed a former agent of the G-2 secret intelligence service—the notorious Guatemalan agency long on the payroll of the U.S. State Department. Meaningful forms of justice and accountability would have a long reach. They would provide restitution following the stories of Guatemalan youth like Antonio and Erika, two of many who are carrying the burden of genocide from their parents’ generation. True accountability would also address, among other cases, the 16,472 DREAM-ers who have listed Guatemala as their country of origin when they registered for President Obama’s 2012 deferred action program (DACA). Justice and accountability would lead to fundamental changes in U.S. policies toward the Guatemalan state. Instead, Washington offers programs such as the Central American Regional Security Initiative (CARSI), a $496 million endeavor since 2008 to train and assist local security forces to counter, among other perceived threats, “border security deficiencies.” Along with the Department of Homeland Security (DHS), the US Southern and Northern Commands, the Drug Enforcement Agency (DEA), the Bureau for Alcohol, Tobacco and Firearms (ATF), and the Federal Bureau of Investigation (FBI) have all expanded activities in the regionunder the auspices of the war on drugs, gangs, and other criminal activity. 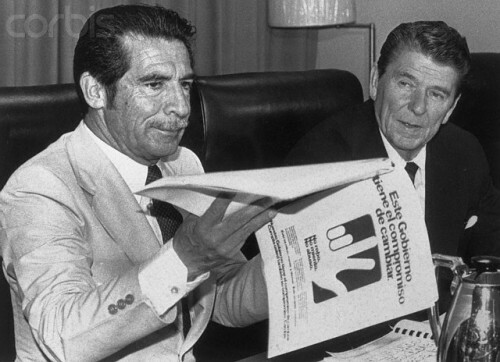 The U.S. formally cut off military aid to Guatemala in 1977, though U.S. funding flowed atnormal levels through the early 1980s and Guatemala enjoyed enormous military support, by proxy, through U.S. client states such as Israel, Taiwan, and South Africa. All in all, U.S. militarization in Guatemala has altered only in wording, shifting predominantly from anti-communist to currently anti-drug and counter-terror rhetoric. The policy trend continues through the present day, spanning across the Guatemalan boundary with Mexico as the “new southern border” of the United States, in the words of Chief Diplomatic Officer for DHS Alan Bersin. The official U.S. position on supporting Guatemalan military activities is that it “was wrong” in the past, and is no longer permissible to support Guatemalan militarization except in relation to “homeland security.” In other words, Washington exercises the “doublethink” practice of “holding two contradictory beliefs in one’s mind simultaneously, and accepting both of them,” to quote George Orwell. Meanwhile, as we’ve seen here lately in Arizona, Guatemalans are still fleeing a constant renewal of U.S.-caused duress. Reviewing the most visible case, the plight of migrant children at the border has relentlessly gripped the nation. 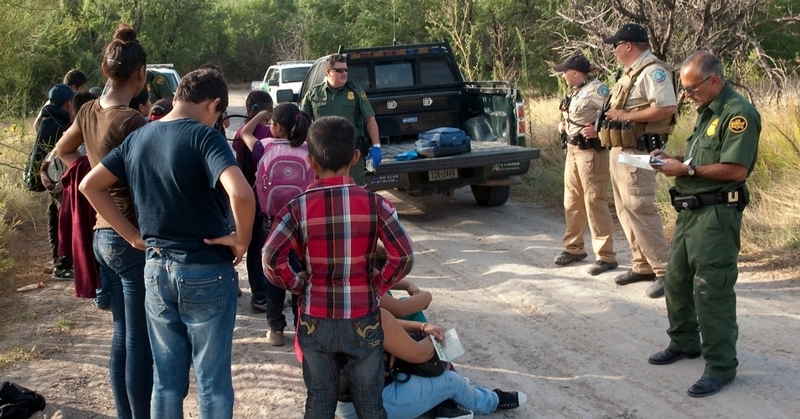 “Many of the parents of these children are in the United States,” explained Guatemalan ambassador to the U.S., Julio Ligorria, “and the children go to find them.” The children also are reportedly suffering the same sorts of Border Patrol abuses long familiar to their parents’ generation, whose mistreatment often goes unnoticed. Recognition of U.S. guilt over the Guatemalan genocide should translate into concrete forms of remedial action which, to the degree possible, corresponds with the scope of the crime. Posted by rogerhollander in El Salvador, Guatemala, Honduras, Human Rights, Immigration, Latin America, Racism. Roger’s note: what the mainstream media in its news and analyses universally fail to note is that the root cause of the migration from Central America lies in the actions and policies of the U.S. government over the years that have supported repressive business oriented governments controlled by oligarchic elites. In particular the Obama/Hillary Clinton policies in support of the military coup in Honduras have resulted in Honduras being perhaps the most violent country on the face of the globe. The lucrative drug trade and the attendant violence is a symptom of US directed imperial military supported corporatism, and not the fundamental cause of the massive migration. As for the costs of implementing a humanitarian policy of dealing with children refugees, a fraction of the dollars spent on the illegal wars in the Middle East, North Africa and Afghanistan would be sufficient. That the U.S. government at the direction of a president who is both heartless and gutless, is sending Honduran mothers and their children back to the most violent city in the world, that while in custody these mothers and children are treated like animals, is beyond disgusting. That the commonly held perceived solution is increased border security and deportation is not only an example of tunnel vision, but a head in the sand approach to a problem that the US government has created, and along with corporate media and both political parties, refuses to acknowledge. Imperialism and xenophobia go hand in hand. SAN PEDRO SULA, Honduras, July 14 (Reuters) – The United States deported a group of Honduran children as young as 1-1/2 years old on Monday in the first flight since President Barack Obama pledged to speed up the process of sending back undocumented immigrant minors from Central America.